Before hitting the campaign trail Saturday, President Barack Obama attended a briefing on Hurricane Sandy relief efforts with Homeland Security Secretary Janet Napolitano at the Federal Emergency Management Agency's (FEMA) headquarters in Washington, D.C. Challenger Mitt Romney and President Barack Obama are making the most of every moment this weekend, with only three days left before Americans choose who will lead the government for the next four years. 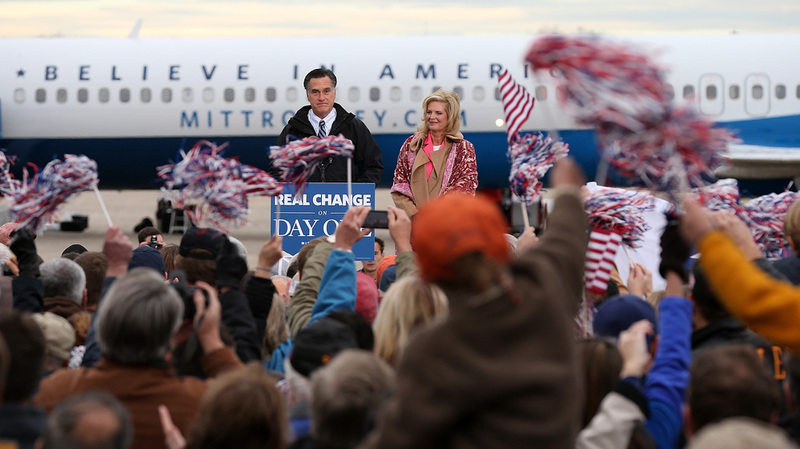 Romney kicked off his day campaigning in New Hampshire and will see crowds in Iowa and Colorado before the day is out. 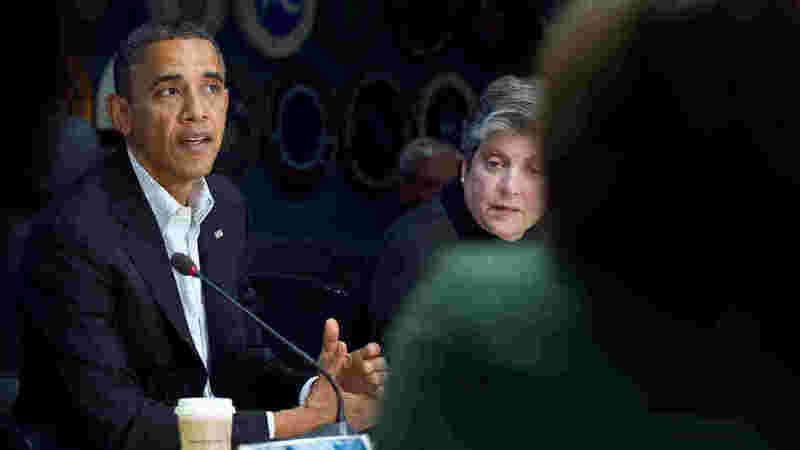 The president started Saturday in Washington, D.C., with a briefing on Hurricane Sandy relief efforts before moving on to campaign events in Ohio, Wisconsin, Iowa, Virginia. Republican presidential candidate Mitt Romney at a campaign rally Saturday in Newington, New Hampshire. Romney opened a three-state campaign day in New Hampshire by faulting Obama for telling supporters a day earlier that voting would be their "best revenge"
"Vote for revenge?" the GOP candidate asked, oozing incredulity. "I'd like to tell him what I'd tell you: Vote for love of country. It's time to lead America to a better place." I'll reach out to both sides of the Aisle. I'll bring people together; do big things for the common good. I won't just represent one party; I'll represent one nation. In an interview with The Washington Post, Republican leading light Karl Rove says that Hurricane Sandy has given President Obama a political boost as he takes on the role of "comforter-in-chief." "There's nothing more important than us getting this right and we're going to spend as much time, effort and energy as necessary to make sure that all the people in New York, New Jersey and Connecticut know that the entire country is behind them in this difficult recovery effort. And we are going put not just 100 percent but 120 percent behind making sure that they get the resources that they need to rebuild and recover." "So we know that the ideas that we believe in work. We know that their ideas don't work." The president will appear with former president Clinton in Virginia today and New Hampshire on Sunday to try and underscore the link between the two Democratic administrations. Only about 4 percent of people in Ohio have yet to make up their minds on who to vote for in the presidential election. Kabir Bhatia of member station WKSU reports that President Obama's visit to Lake County in Ohio on Saturday is aimed at getting supporters energized and to the polls, not to swing undecideds. "This is just an effort by the Obama campaign to solidify support and get the base excited in an area of the state that he's gonna need in big numbers."